Rangers’ reported defensive target John Souttar has failed to dismiss speculation over Steven Gerrard’s interest in him following Hearts’ progression to the Scottish Cup Final. Souttar, cleverly, avoiding any kind of ‘opinion’ on the story, but crucially failing to say he isn’t interested. Which would have been very easy to do after a cup semi win at Hampden. 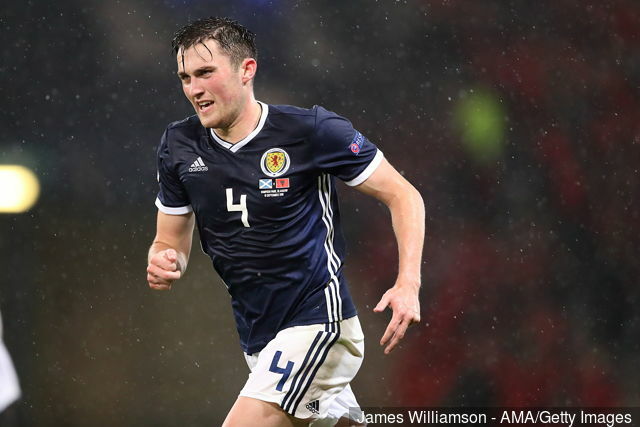 Whether the story is real time will tell, and Souttar perhaps isn’t the ambitious and exciting defensive signing Rangers maybe need, but if the price is right, and it probably won’t be, it’s one that could happen. For Souttar’s part he has a cup final against Celtic to look forward to, and if nothing else, it will be a real audition for a Rangers move (more on that later). If he does well, Gerrard’s alleged interest may become quite serious. Personally i would rather John Souttar stayed away from Ibrox, he is a bit of a dud. I'm a little bit dissapointed Stevie Gerrard hasn't been able to draw in a better class of player as i thought he would. It seems we keep going after the opposing teams dross. Early days yet though for next season. mediocre, mediocre and more mediocre. I have a wee notion to win this league before the beggars get 9IAR, let alone 10!! Gerrard said himself, he needs top marquee players in to win the league. Lads like Souttar, aint it and never will be!! We need to raise the bar in the caliber of player big time to win this league next season!! The players bar one, neither have the bottle or consistency to win us the league or cups. Both semi finals against the sheep was a disgrace in itself!!! I think Souttar has potential and at 22 is young for a centre half .I would far rather have him than the highly rated McKenna who is a donkey .I think we will be looking at bringing in a major signing to play alongside Goldson and Souttar and Katic will be back up .That sounds okay to me for next season. As for the above comment , if you are going to slag the team at least get it right, the second disgrace was a quarter final replay not a semi .The semi final disgrace was the sheeps performance against the scum.